Discover how language can connect with your audience on an instinctive level, the codes you can use to tell the story of your brand, and how harnessing all the senses can make your message more memorable. Understand how the look of your words makes a first impression and communicates your unique story. It’s not about kerning, it’s the impression typefaces/fonts make on the subconscious. Would you like to find out more? 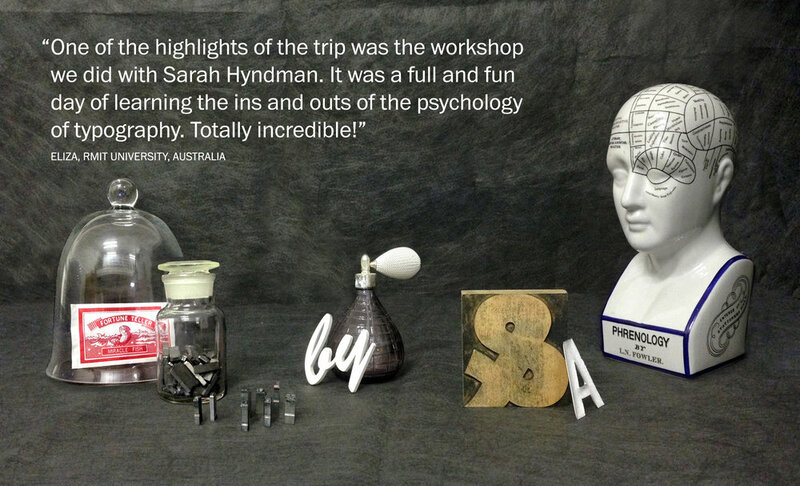 Type Tasting is an innovative type studio created by graphic designer and author Sarah Hyndman. Whether you’re a newcomer or an expert she’ll show you how to use typography to create authentic brand stories, give you insights into the psychology of communication, and invite you to take part in thought-provoking multi-sensory experiments. Pride, Prejudice & Perceptions at the British Academy, a collaboration with AVM Curiosities. A masterclass with pre-talk experiments for the D&AD Festival at Shoreditch House. An interactive talk that turned the spotlight on the audience at Glug Birmingham.